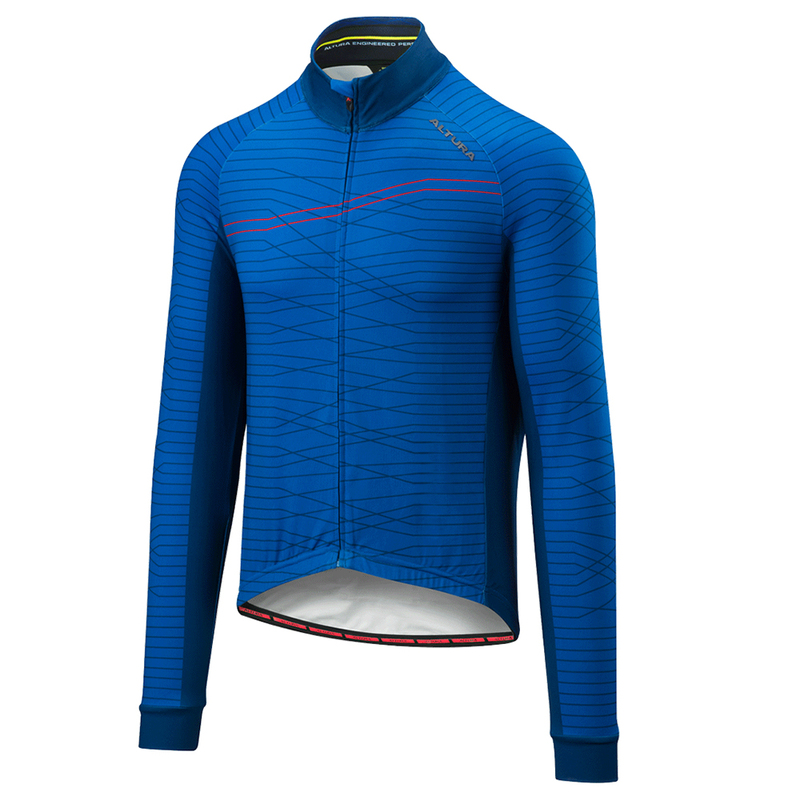 The Altura Thermo Lines cycling jersey incorporates reflective technology into a warm soft brushed thermal fabric which can be used as part of a layering system during colder months or on its own as a reflective and warm outer layer. The design is semi-fitted which, whilst snug fitting is also comfortable, having stretch properties so not overly tight and restrictive. The Thermo Lines jersey has three rear deep drop-in cargo style pockets which have been reinforced at the seams to help retain shape when loaded with ride essentials such as gels and energy bars. A smaller rear zippered valuables pocket is also featured which is ideal for car keys or credit card should you wish to stop at the local café during your ride. A silicone hem is also featured which helps to prevent the fabric from bunching and riding up when you’re out on your ride or changing on bike position.